Newport Mansions in Newport, RI are absolutely spectacular. If you haven’t been to visit, you need to add it on your Newport, RI bucket list. They are filled with rich history that really is incredible to learn all about as you tour through the different mansions. I’m always amazed as to what I learn every single time I tour the Newport Mansions. 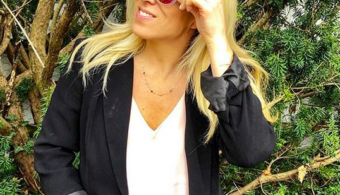 One thing I love to do every time I visit is walk through the stores at the Newport Mansions because you can truly bring home a piece of Newport and even Rhode Island with you. There are such hidden treasures in the shops that are unique, special, meaningful and beautiful. 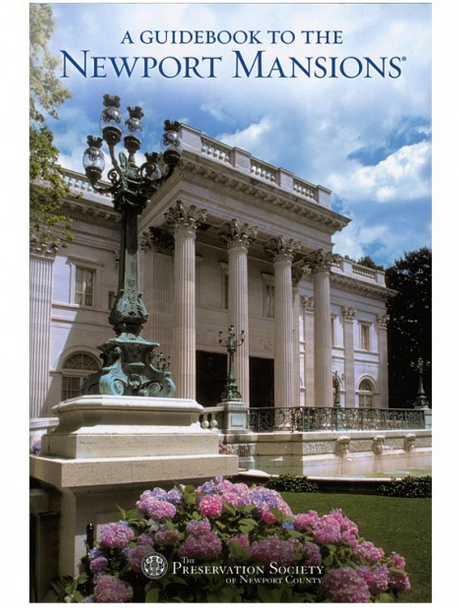 Take home a reminder of your visit to Newport from the Newport Mansions Stores, located at The Breakers, Marble House, The Elms, Rosecliff, and on Bannister’s Wharf in downtown Newport. You will truly be dazzled with what they have to offer. There’s something for every taste and every style. If you’ve been to them before, you know how special they are to visit. I’ve bought so many wonderful things from them in the past. I love taking out my holiday ornaments because I have so many great ones from the stores. It’s fun sharing with my kids why they mean something to me. What you can expect from Newport Mansions Stores? If you’re visiting from out of town, you will find some wonderful mansion souvenirs. As I mentioned before – the mansions are filled with beauty and grandeur and history – bringing something from that reminds you of the mansions is something that’s wonderful. 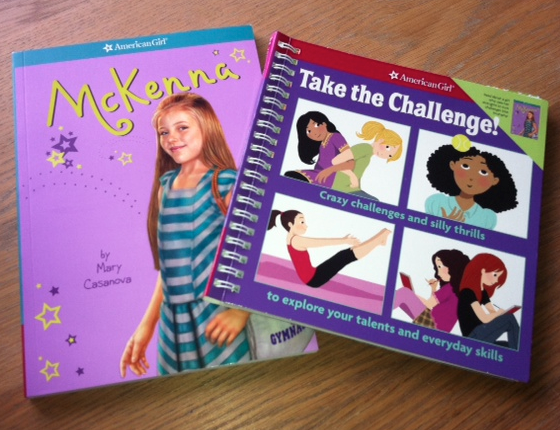 Coasters – photos – books – they’ve got it all… even a perfect book like this to take home! In Newport there’s a huge tie to the nautical and coastal world. It’s part of being in Rhode Island and part of being a Rhode Islander. 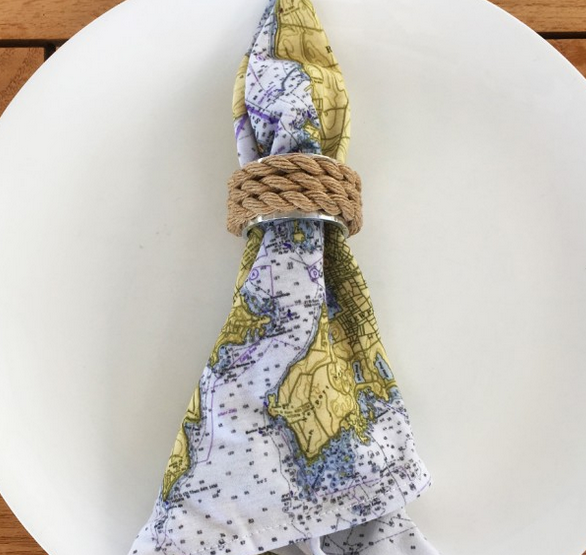 Whether you’re from around here or not – being able to purchase some items that remind you of the water and the beauty of Newport, Rhode Island is just extraordinary. 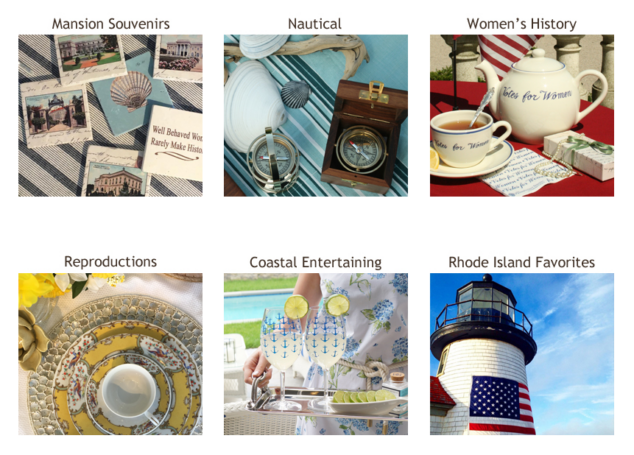 We love to entertain, so I adore being able to purchase coastal and nautical inspired items. It’s something that really makes me happy. I’m obsessed with items like this Vintage Newport County Map Throw – how amazing is this for your living room space? 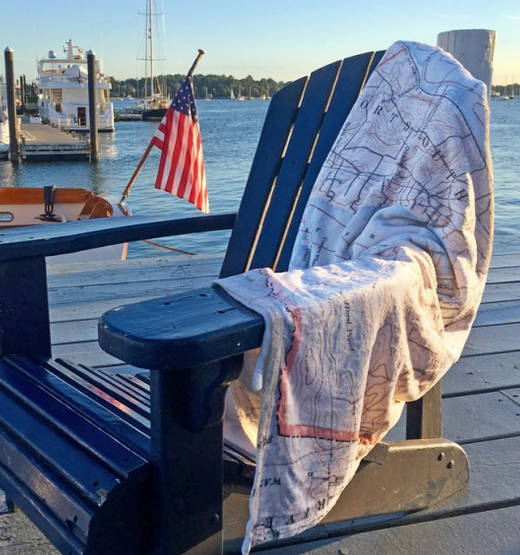 Or these adorable Newport Nautical Chart “Map”kins – Set of two! How great are these for entertaining? And there’s beautiful jewelry that is nautical inspired, too! 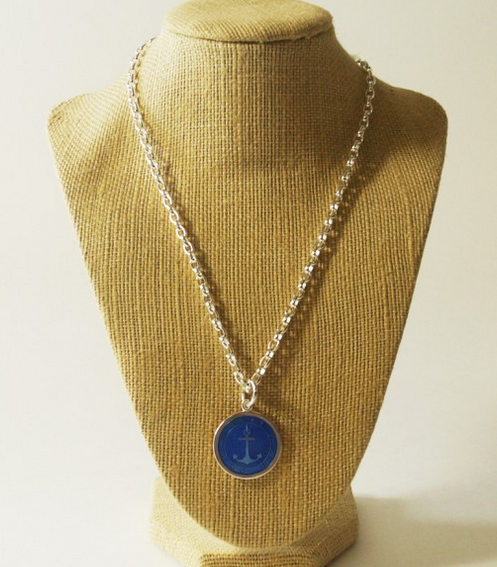 This stunning LOLA Pendant, Anchor on Periwinkle is stunning! Sterling silver marked 925 with high gloss enamel color. Each delicate colored glass pendant is hand painted and embossed over a sterling silver design, forged to 1600 degrees and finally each piece is hand polished. Each pendant is one-of-a-kind just like the person who wears it. As you can also imagine at the Newport Mansions Stores you are able to purchase reproductions. This is something that is very special and so very popular. 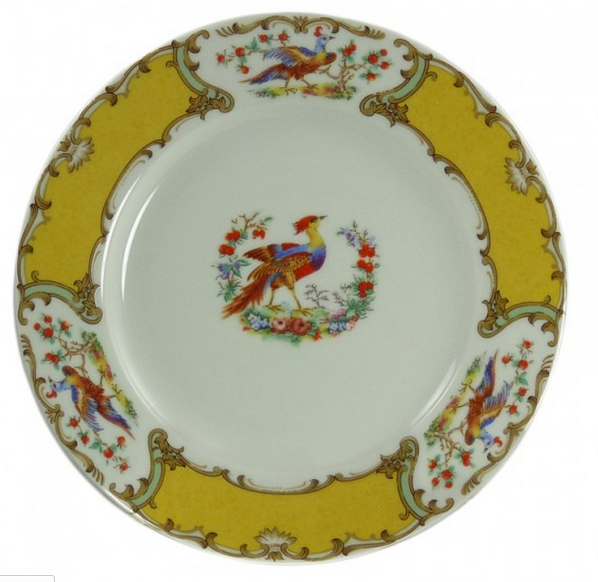 I mean – just look at this Newport Mansions Chelsea Bird Dinner Plate that you can purchase. It’s simply exquisite. There are dozens and dozens of more items that are just as special as this for you to buy. 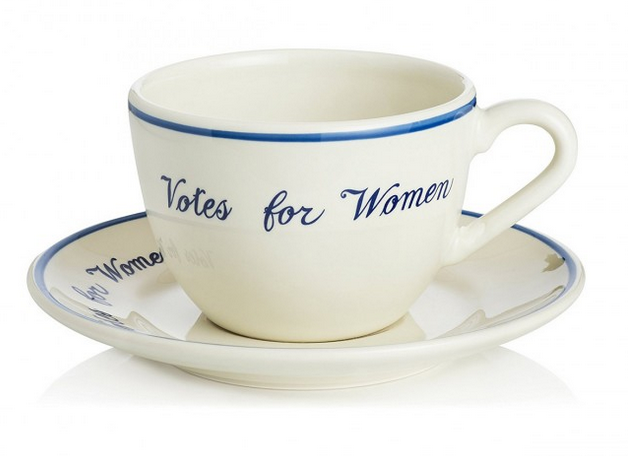 One thing that is very near and dear to my heart is that Newport Mansions stores have “Votes for Women” products. My mother started this Collection from the stores years and years ago and it has grown throughout the years. It’s something that I want to have in our house, too for Victoria to see and smile at when she uses them. And! 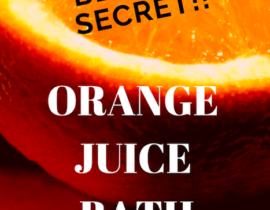 Perhaps my favorite to buy at the Newport Mansions – Rhode Island Favorites! I mean – we’re known for so many things that are unique and absolutely special to us as a state. I love that you can buy some true RI faves here, this is HUGE for tourists… and for life long Rhode Islanders, too. I love to buy gifts like this for people who from out of state. It’s such a BIG deal for them and it’s so wonderful to share special treats from our own state. One of my faves? 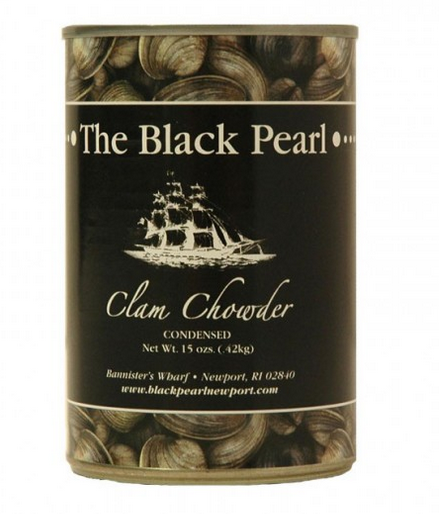 Black Pearl Clam Chowder! World-Renowned Chowder Cook-Off Champions.People travel from all over the world just to visit The Black Pearl restaurant and enjoy its famous clam chowder. Rated “the best anywhere” by Fodor’s, Frommer’s, and Travel & Leisure, we are proud to offer this same chowder to you wherever you are. 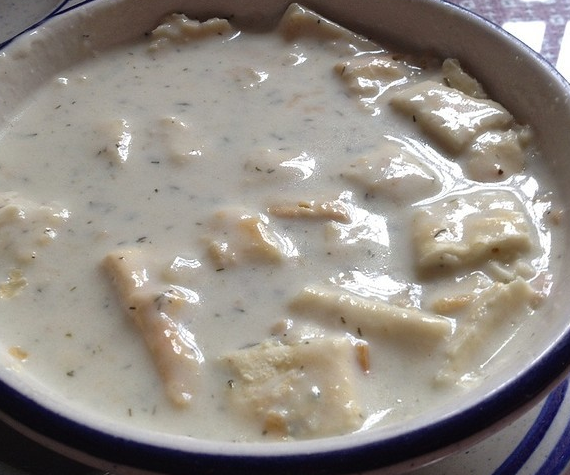 New England chowder the way it’s meant to be – As good from the can as it is in the restaurant! Also… Newport Sea Salt Company – which happens to be owned wonderful people that my husband knows and is friends with – I love seeing their products sold there, too! Reef to table! This small veteran owned artisanal sea salt company follows the traditional and unhurried process of crafting small batches of 100% pure and natural sea salt. Nothing added, nothing taken away. The seawater is hand harvested from the pristine waters of Brenton Reef, along the beautiful and historic Ocean Drive of Newport, Rhode Island. The sea salt will add the finishing touch to all your culinary dishes and cocktails! 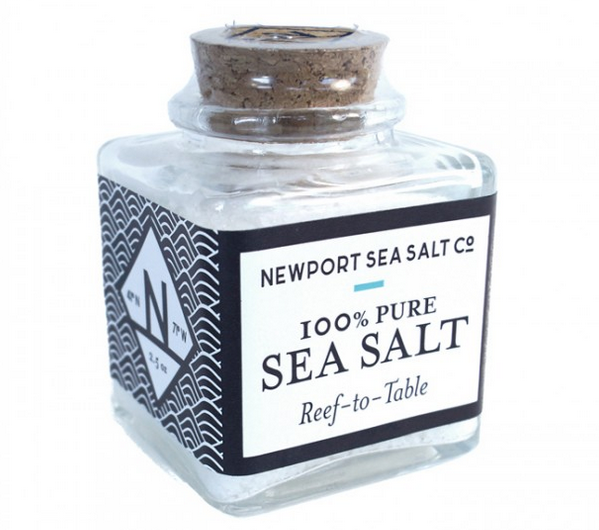 So, whether you are a local, foodie, or a lover of all things Newport, or all of the above, add some flavor to your life with Newport Sea Salt Co. finishing sea salt! You can shop in the Mansions (as I shared above!) – located at The Breakers, Marble House, The Elms, Rosecliff, and on Bannister’s Wharf in downtown Newport. Items are also available for purchase online at NewportStyle.net. As I said – there’s something for everyone! 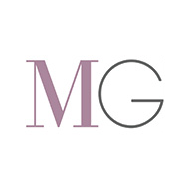 Take the time to visit one of the stores or head to their site. 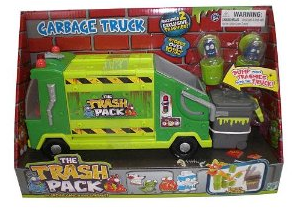 Have fun perusing the selections and seeing what would be a great item for you to gift someone or bring into your life. 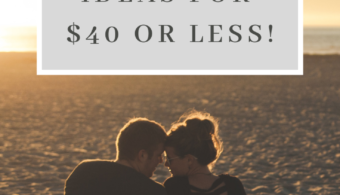 Enjoy the beautiful gifts that are available and know that it’s a destination that can be used year round! 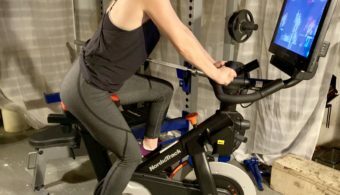 I personally love how easy it is to shop right online!